Launching satellites or humans to space is a costly affair. Since man stepped on moon, it has been the constant dream of engineers, policymakers and others among the space community to develop and design a vehicle that can be used for multiple launch missions, like an aircraft, whether military or transport. The only success achieved so far is the Space Shuttle Program that has been shelved in 2011. The retirement of the Space Shuttle has left a huge void in the field of space exploration, and even though NASA is following up with the space capsule Orion, there is a renewed interest in Reusable Launch Vehicles (RLV). The Indian Space Research Organization (ISRO) announced on January 7th, 2015, that they will perform a RLV technology demonstration in March. If successful, this test will be a big achievement for India and ISRO, and will cement its position as a forerunner in the field of space exploration. – The video below gives a brief description of the RLV launch mission by ISRO. What is a Reusable Launch Vehicle? A Reusable Launch Vehicle (RLV) is the space analog of an aircraft. Ideally it takes off vertically on the back of an expendable rocket and then glides back down like an aircraft. During landing phase, an RLV can either land on a runway or perform a splashdown. Small wings provide maneuverability support during landing. The main advantage of an RLV is it can be used multiple times, hopefully with low servicing costs. The expendable rocket that is used for launching the RLV can also be designed to be used multiple times. A successful RLV would surely cut down mission costs and make space travel more accessible. 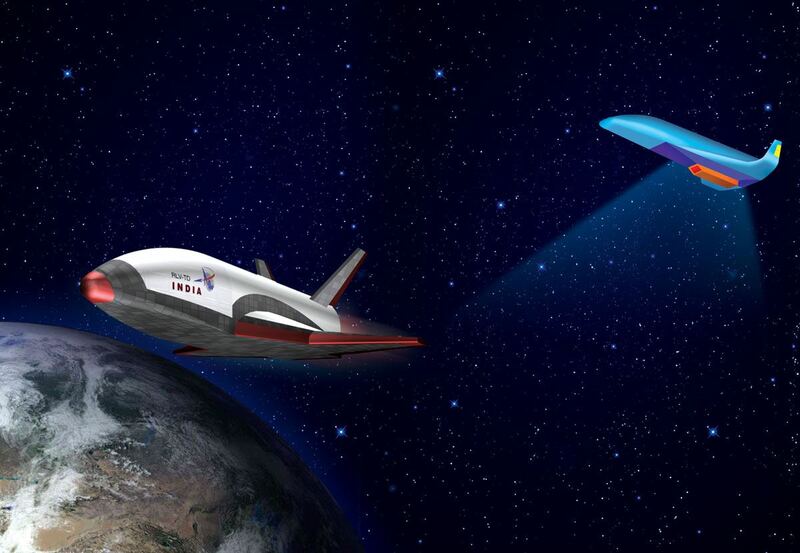 ISRO’s RLV Technology Demonstration Programme (RLV-TD) is a plane-like reusable vehicle launched by an expendable single state solid booster. The mission will end with a splashdown in the Indian Ocean. The rocket launcher will help it to reach Mach 6, and an altitude of 100 km. After reaching the required height it will undergo the re-entry phase, glide down and finally splash down in the Bay of Bengal. The vehicle will spend nearly 5 minutes in its coast phase at the maximum altitude before doing re-entry. 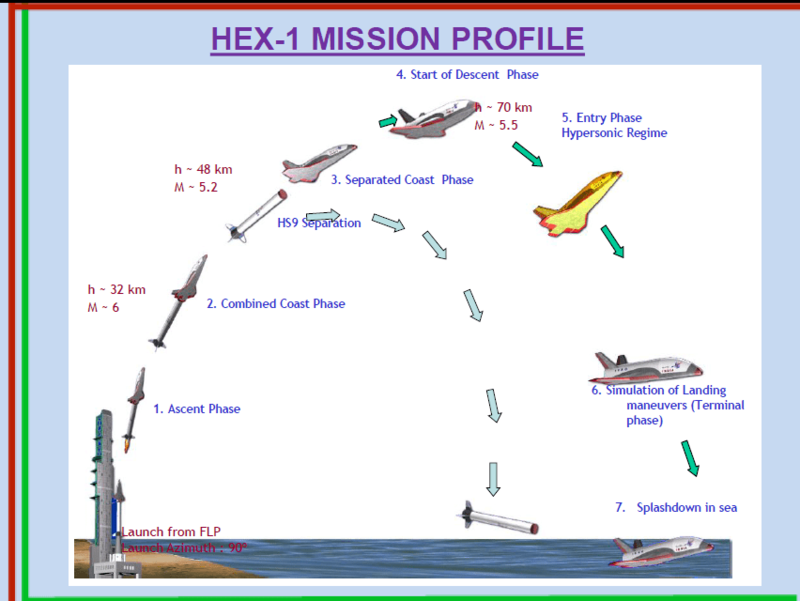 Hypersonic Flight Experiment (HEX): The first experiment is the launch itself. The RLV will be launched by a solid booster rocket and then released. The booster rocket will fall back into the sea, while the lofted RLV will re-enter the atmosphere independently and be guided to a controlled splashdown. This is the test planned in March. Landing Experiment (LEX): The second experiment will test the RLV’s turbofan engine. The RLV-TD will be launched as in HEX, re-enter the atmosphere at hypersonic speed and use aerodynamic breaking to decelerate. It will then perform a 2g turn towards its launch site, and it will start its turbofan engine upon reaching Mach 0.8. It will then cruise back to its launch site at Mach 0.6 and land horizontally on a runway. Return Flight Experiment (REX): The third experiment, the RLV-TD will be launched to orbit and then de-orbited for a landing on a runway. Scramjet Propulsion Experiment (SPEX): The final experiment will test the performances of an RLV-TD fitted with an air breathing scram jet engine. Artist’s conception of ISRO’s RLV Technology Demponstration Programme. – Credits: ISRO. The RLV-TD Program is not just a technology demonstration for India, but a way to prove how much it has progressed in the field of space exploration. The test is a part of a larger plan to build a fully functional two stage to orbit (TSTO) vehicle. Currently the annual spending budget of IRO for launching satellites is Rs. 300 cr (48.7M USD). A successful RLV program would reduce the cost of space missions, making India more competitive in the launcher market. For now, the test program will expand the technological capabilities of India, enabling it to be a forerunner in space exploration in near future. The success of the Mars Orbiter Mission at the first attempt has boosted the hopes of ISRO to send humans to Mars. A highly developed version of RLV for launching humans to space could demonstrate the technological ability and progress achieved by Indians in the field of space exploration. The series of experiments that need to be carried out will help in expansion of space technology and capability of ISRO and India culminating in a fully developed version of RLV used as Two Stages to Orbit (TSTO) vehicle.